DOVER — The number of laboratory-confirmed flu cases continues to increase in Delaware, and the Division of Public Health (DPH) is announcing three recent flu-related deaths, bringing the total number of deaths for the 2018-2019 season thus far to eight. The most recent victim is an 83-year-old man from New Castle County, with underlying health conditions, who passed away this week. Additionally, last week, a 41-year-old New Castle County woman with suspected underlying health complications and a 74-year-old Sussex County woman with multiple underlying health conditions passed away due to complications from the flu. Of the eight individuals who have passed away this season, they range in age from 41 to 83. Four persons were from Sussex County, one was from Kent County and three were from New Castle County. All were infected with Influenza A. The Division of Public Health continues to encourage residents to get their flu vaccine if they have not done so. The Centers for Disease Control and Prevention (CDC) reports that influenza is widespread in most of the country and expects significant flu activity to continue for weeks. It is not too late to get a flu vaccine. 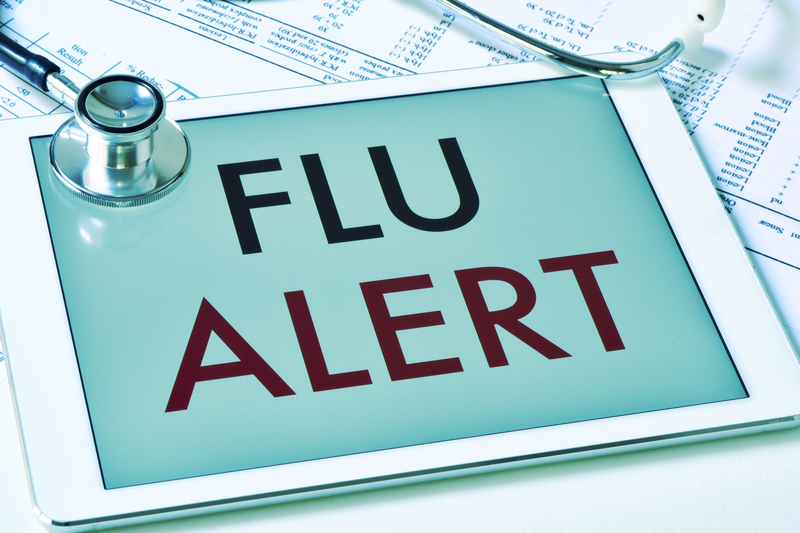 As of Jan. 19, 2019, the most recent date for which statistics are available, there have been 1,268 laboratory-confirmed cases of influenza in Delaware. This number reflects only the number of lab-confirmed cases; the actual number of cases circulating statewide is likely much higher. Additionally, 224 people have been hospitalized with flu-like symptoms since the start of the flu season. These numbers are similar to the 2017-2018 season when at the same time, there were 1,289 laboratory-confirmed cases of influenza and 297 hospitalizations. Flu vaccines are still available at State Service Centers, primary care providers and specialists, pharmacies, and some grocery stores. To find participating stores, enter your zip code in the Centers for Disease Control and Prevention’s (CDC) flu vaccine finder at www.cdc.gov/flu/. For more information about the flu, visit flu.delaware.gov/ or call DPH at 1-800-282-8672. The CDC recommends use of any licensed, age-appropriate influenza vaccine, including inactivated influenza vaccine [IIV], recombinant influenza vaccine [RIV], or live attenuated influenza vaccine (LAIV). If you have questions about which vaccine is best for you, talk to your doctor or other health care professional. • Porter State Service Center, 509 W. Eighth St., Wilmington. For all ages 9 and up. Walk-ins are welcome Monday through Friday from 8:00 a.m. to noon and from 1:00 p.m. to 4:30 p.m.
• Hudson State Service Center, 501 Ogletown Road, Newark. For all ages, including children age 6 months and older. Call 302-283-7587 (choose Option 2) to make an appointment Monday through Friday. • Williams State Service Center, 805 River Road, Dover. For all ages, including children age 6 months and older. Call 302-857-5140 to make an appointment Monday through Thursday, 8:00 a.m. to 3:30 p.m.
• Milford State Service Center – Riverwalk, 253 N.E. Front St., Milford. For ages 9 years and older. Call 302-424-7130 to make an appointment on Mondays from 1:00 p.m. to 3:00 p.m. and Wednesdays from 9:00 a.m. to 11:00 a.m.
• Anna C. Shipley State Service Center, 350 Virginia Ave., Seaford. For all ages, including children age 6 months and older. Walk-ins welcome Monday through Friday from 8:30 a.m. to 4:00 p.m. For information, call 302-628-6772. • Adams State Service Center, 544 S. Bedford St., Georgetown. For all ages, including children age 6 months and older. Walk-ins welcome on Thursdays only from 9:00 a.m. to 11:00 a.m.
• Practice social distancing if you have cold or flu-like symptoms. • Wash hands frequently with soap and water or use alcohol-based hand sanitizers. • Cover sneezes and coughs with a tissue, and dispose of tissues immediately; if no tissue is available, sneeze or cough into your inner elbow. • Stay home if you are sick until you are free of fever for 24 hours – with a temperature of less than 100 degrees F (37.8 degrees C), without the use of fever-reducing medications for at least 24 hours. Social distancing means that those sick with the flu should stay home from work, school, and other gatherings and not return until they have been free of fever – with a temperature of less than 100 degrees F (37.8 degrees C) without the use of fever-reducing medications for at least 24 hours. They should avoid close contact with well people in the household, and stay well-hydrated by drinking plenty of water and other clear liquids. Over-the-counter medicines can provide symptom relief, but if you suspect you have influenza, call your doctor as he or she may decide to provide antiviral medications to help hasten recovery and prevent serious complications. This is particularly important for those who feel very sick, are pregnant or have chronic medical conditions. Unlike colds, which develop gradually, flu symptoms come on suddenly, and include fever, cough, sore throat, runny or stuffy nose, headaches and body aches, chills and fatigue. Some people get complications including pneumonia, bronchitis and sinus and ear infections. People with pre-existing health conditions such as diabetes and asthma are more susceptible to catching the flu. For more information about flu surveillance in Delaware, read the weekly flu report at dhss.delaware.gov/dph/epi/influenzawkly.html.